The Moon orbits the Earth. Each orbit takes 28 days. 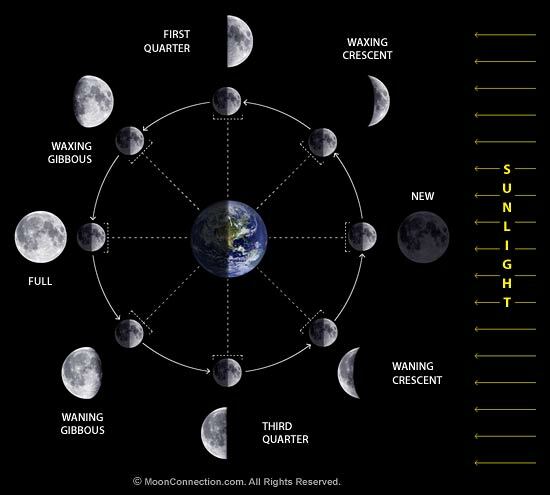 This is called a lunar month. 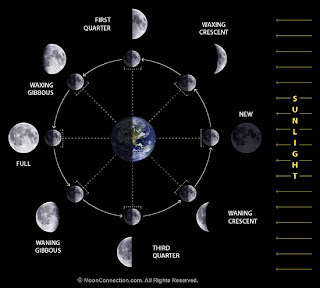 There are four shapes called the Moon phases.